Don’t forget about the Association Annual Banquet this weekend. 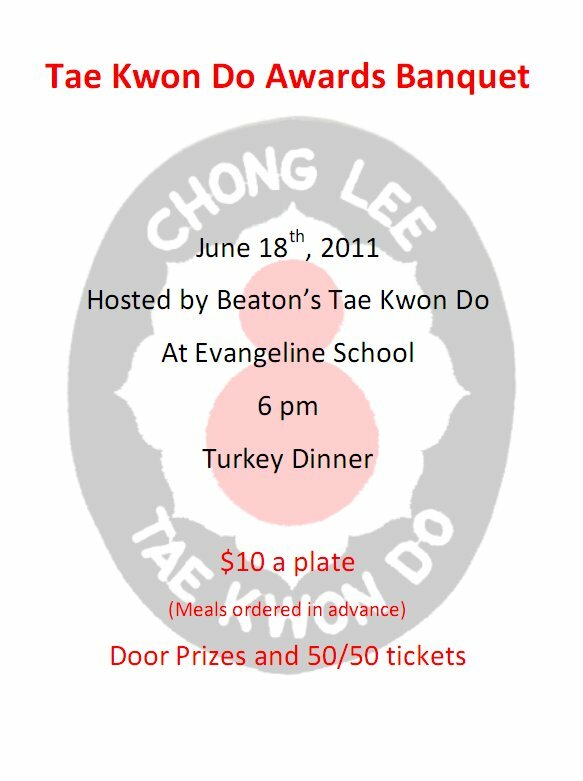 This is a great fundraiser for the students at Beaton’s Taekwondo and a lot of fun. Tickets are only $10 for a great turkey dinner. The event will be at the Evangeline school starting at 6:00 this Saturday. Please put your name on the sign up sheet at the Charlottetown or Montague schools to get your name in by Wednesday.